Your Non Mobile Friendly Website is Your Competition’s Best Friend! an Option. It’s Become a Necessity. is Your Competition’s Best Friend! 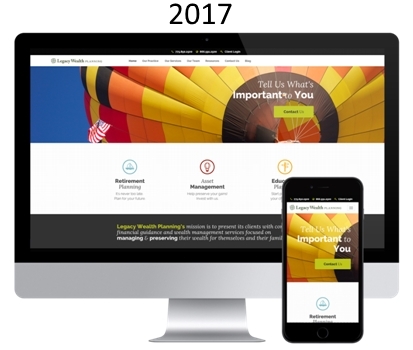 Having a Responsive or “Mobile Friendly” Website is no Longer an Option When Talking About Your Online Presence. It’s Become a Necessity. We'll help you with planning some of the basic. Our webmaster will assist you through the process, while making sure we have an understanding of your needs. We will help you pick a design layout that is right for your business and industry. Our promise is to make it really easy for you and your staff. Here we create buttons, slideshows and interactive forms to make the website appealing and user friendly, whether viewed on a PC or handheld device. This step allows you to review our work and make any changes or design edits, so that when we launch, you are happy with the the finished product. Our Sites Look & Perform Beautifully on All Devices! We build sites that are Responsive, meaning they are 100% Mobile Friendly, just the way the major search engines now want them to be. 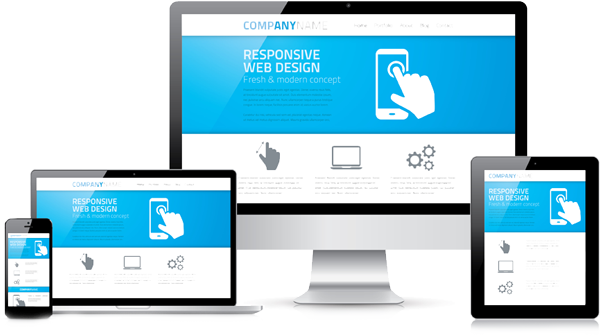 All of our websites are designed to display properly on all devices… whether a laptop, desktop and particularly mobile smartphones. Responsive Sites the way Google Likes Them. Search engines are now taking into consideration whether your site is Mobile Friendly. 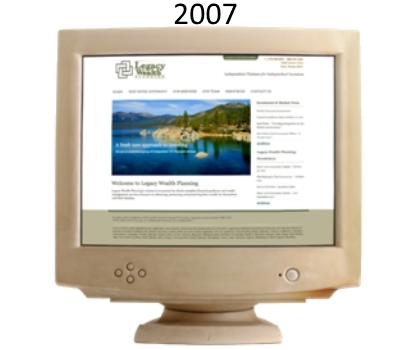 You will rank better with a Responsive, Mobile Friendly display. We are a Friendly, Customer Focused Web Design Agency. Our team has over 35 combined years of Knowledge, Expertise and Experience. The world's gone mobile, so should you! According to Google, more than 50% of searches are now done on a mobile device. This number has been growing steadily since the introduction of the first SmartPhone. because their websites are easier to view on smartphones. This Is All We Do. No Matter The Industry We’ve Got You Covered! Industrial | Insurance | Real Estate | Resturants | Salons | Spas | and the list goes on. Our expertise includes web design, web hosting, domain registration and implementation, custom domain email creation and set-up, blog creation and posting, image optimization and building SEO friendly websites. We’ll work within any budget to build a site that meets your needs.